A few years ago, I decided to begin spending most of my studio time creating sculptures instead of functional production pottery. I relish the challenge of being creative while fashioning one of a kind objects out of clay. But every once in a while I get a hankering to produce a series of something simple on the wheel. This week I felt like making mugs. 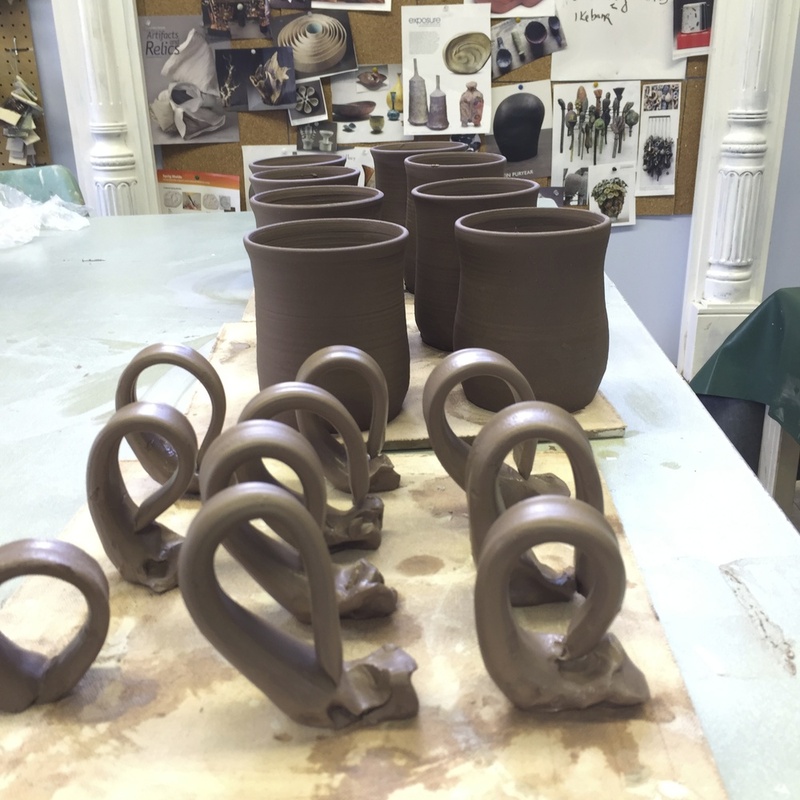 Mugs are rewarding to make because everybody enjoys drinking from a handmade cup! I find that the shapes and glazes that I use in my organically inspired sculptures influence the forms and colors of my functional ware and vice versa. Spending time looking at items from nature has helped me appreciate the wabi sabi principles of nothing lasts, nothing is finished, nothing is perfect. I am mindful of these concepts even when I create functional objects like mugs. 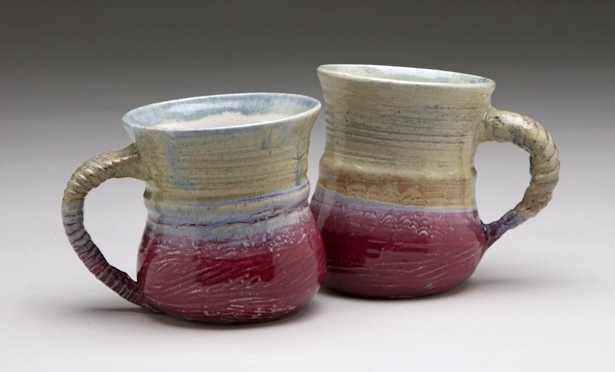 When I let go of striving to create picture perfect mugs that look identical, the mugs are so much livelier and reflect the active process that I engage in to realize them.